The Chicago Bears have had a serious lack of wide receiver options all season long, but the team reportedly has finally made a move to address that need. 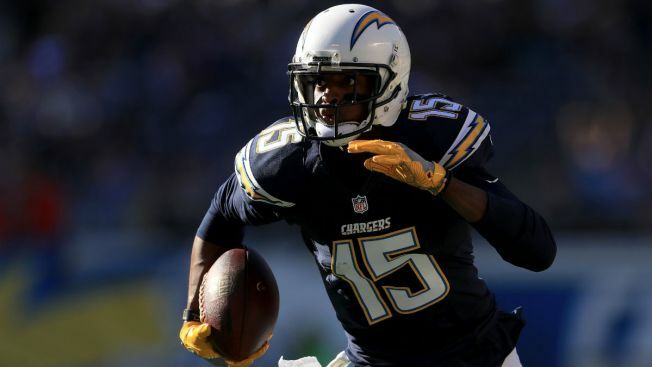 According to ESPN’s Adam Schefter, the Bears have acquired Los Angeles Chargers wide receiver Dontrelle Inman in exchange for a seventh-round pick. The pick is a conditional pick in 2018 and will only kick in if Inman hits certain production levels, according to the report. Inman has fallen out of favor in Los Angeles after hauling in a career high 58 catches for 810 yards and four touchdowns last season. This year, he has just two catches for nine yards, and the 28-year-old will be looking to add some punch to an offense that’s in desperate need of help. The Bears’ top wide receiver this season has been Kendall Wright, who has 20 catches in seven games for Chicago. In fact, Wright is the only Bears wide receiver to catch a pass over their last two games, hauling in three passes for 44 yards in wins over Baltimore and Carolina. The Bears have been dealing with serious issues on that front all year long, starting with season-ending injuries to Cameron Meredith and Kevin White. Markus Wheaton has also been dealing with a variety of injuries, including a broken finger and an appendectomy. The addition of Inman could signal that the Bears are looking to open up the passing game a bit for quarterback Mitchell Trubisky, who completed just four passes in the team’s win over the Panthers a week ago.